Opportunity for me to build a healthy student ministry. Courtney already has a great group of students and adult volunteers, but the student ministry needs to be structured, organized, and grown. For a young guy like me right out of college, this is the perfect opportunity for me to spread my wings and get great experience in building a ministry from the ground up. I’ll be honest, this task seems overwhelming and too much for me, but I know God has placed me in the right position and will equip me to build the ministry here. The church has shown they will take good care of us. One of the things my fiancée and I looked at when talking with churches was looking to see if they would take care of us and our future family. This includes financial things like salary, but also will they take care of us in ways outside of money. This church has already shown us they will go over and beyond at making us feel comfortable and meetings some of the needs we have. The church is gaining spiritual momentum. Courtney runs about 200 right now on Sunday mornings. It’s in a rural part of NC so having 200 is not that small. But the thing that impressed me most was not the issue of how many they were running, but the spiritual momentum the church seems to be experiencing. In the two Sundays we were here for visits, the presence of God was felt and God moved in great ways in both services. If God continues to move like He is currently doing here at Courtney, there is no telling how this church will look in the future! The students and adult volunteers. This is one of the biggest things that drew me to this church. The church has an amazing group of students who have great potential and are experiencing some great numerical and spiritual growth. There has been a handful of students who I have already connected with and started great relationships with by just visiting the church a few times. Not only the students, but the adults who have been helping in the student ministry while there has been no youth pastor are amazing! They love the students, the students love them, and they have doing a great job at running a great student ministry for the past year. I am looking forward to working with them and training them to be even better leaders! These are just a few of the many reasons my fiancée and I feel like this is where God wants us. 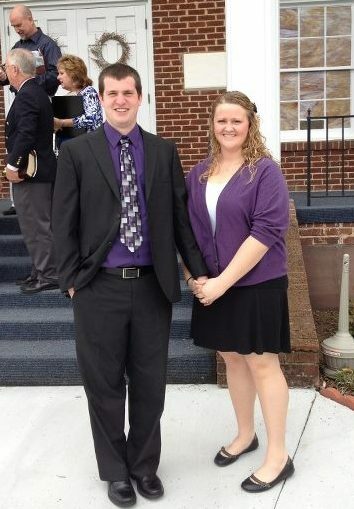 We feel like this will be a great first ministry for us and we are looking forward to what God will do through us here at Courtney Baptist Church. Pray for us as we get to know the students, the church, and community. Also, pray for me as I seek to structure the student ministry and begin teaching the students God’s Word. 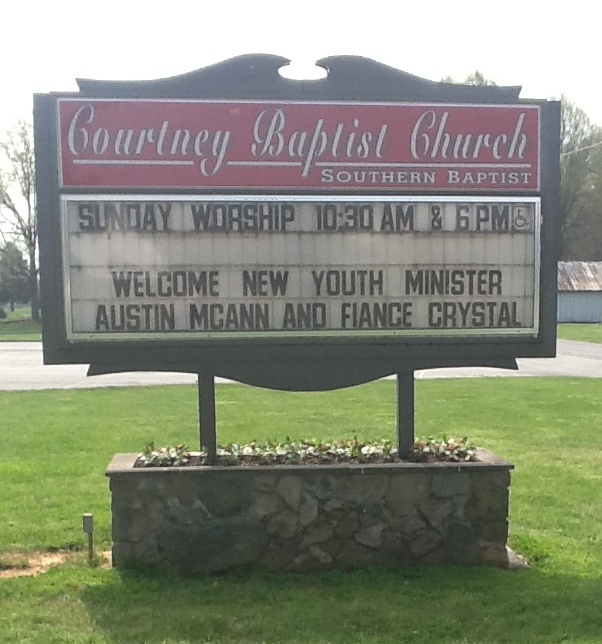 At first I thought you meant it “why I am the new youth pastor (as opposed to several other guys who candidated)” haha. Congrats man. That first day in the office can be intimidating. Remember to build a sustainable ministry, and that requires time, don’t take away from what that amazing volunteer teams has built. If I could go back to my first day at my current church, I would have waited a lot longer before doing some of the changes we did, and I thought I was doing a good job waiting as long as I did!